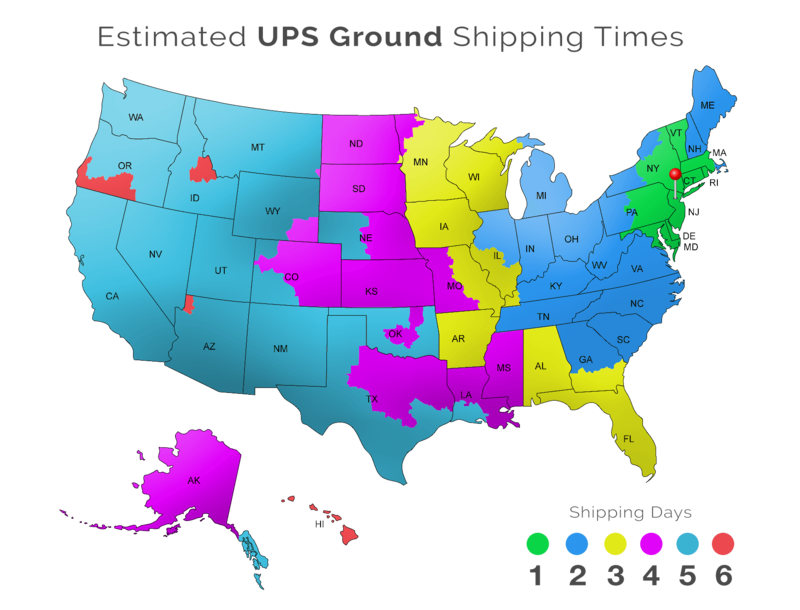 These estimates are based on UPS Ground shipping. Orders placed Monday-Friday before 1pm EST are shipped the same day. After 1pm EST orders are shipped the following day. Samples ship separately from orders, please allow up to 5 days processing for samples to ship. Expedited UPS shipping is available at checkout.